It's October and Stranger Things Season 2 is just around the corner, leading to even more hype than there was before. To celebrate the upcoming Stranger Things Season 2, Netflix has raised its prices and also released a new teaser via Twitter. Iit reveals that the Duffer Brothers have kept their promise and renamed the titles of Stranger Things Season 2. 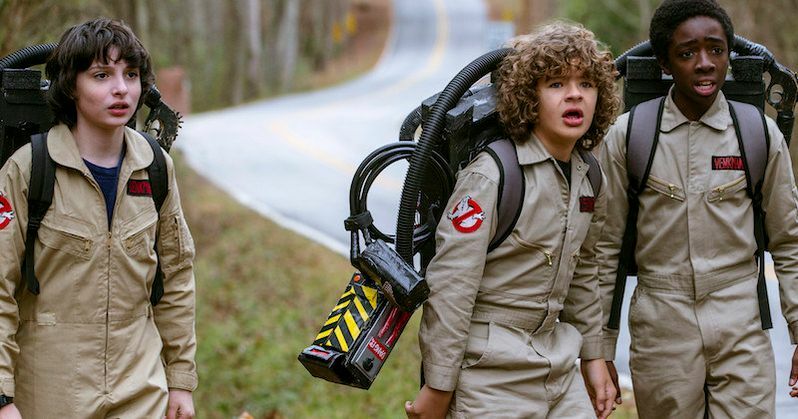 Some of the episodes have been left the same, while a few have changed, leading to further investigation by Stranger Things fans to try and unravel the mysteries that the Duffer Brothers have laid out for all of us. The new teaser video was released by Netflix today and it features graphics that correspond to each of the 9 episodes that may help viewers on their quest for more information about Season 2. It isn't clear if the episodes are in chronological order in the video and it's unknown if the final three episodes will still be called Chapter 7, Chapter 8, and Chapter 9. MadMax pops up as the first title, which is a title that had been previously been used as the first episode. The title is in reference to the new character, Max, who is new to Hawkins and features a graphic of the Dig Dug high score screen that has previously been seen. Instead of The Boy Who Came Back to Life, the second episode appears to be called Trick or Treat Freak and features some jack-olanterns. Again, it is not clear if the video goes in chronological order, but it certainly appears to be that way. Trick or Treat Freak sounds like it could be an insult thrown by a bully towards our main characters in the show, quite possibly Max's brother Billy. The Pollywog is next, which has been previously announced, but now has an image of an open trash can. The other new episode titles include Will the Wise, Dig Dug, and The Spy, which replace The Pumpkin Patch, The Storm, and The Palace, respectively. Will the Wise features the creepy sky that has been shown off in previous promotional material while Dig Dug shows Sheriff Hopper looking down a hole with a flashlight, and The Spy shows Mike Wheeler through what appears to be binoculars. Chapters 7 through 9 show up on one screen with a Demogorgon claw slashing through the three titles. Again, this is all speculation that these titles are replacing the others. The Duffer Brothers could be leading fans through a new mystery before Season 2 begins. Stranger Things Season 2 is finally almost here and now we have some new titles to pour over before the official debut later this month. The Duffer Brothers have mentioned that HBO's Westworld has proven just how impressive internet sleuths have gotten over the years at figuring out the mysteries of shows, so all of the new information could all be pointing to a new kind of mystery that fans have to figure out before the end of the month. Check out the new episode titles and graphics via the Stranger Things Twitter account below.